Sperry Tents is a trusted leader in executing topnotch outdoor weddings and events. 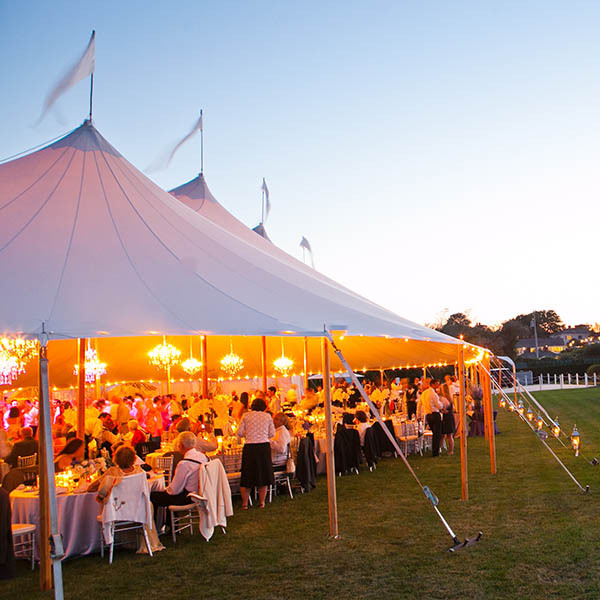 Our signature sailcloth rental tents are the backbone of some of the country’s — and now the world’s — dreamiest occasions. 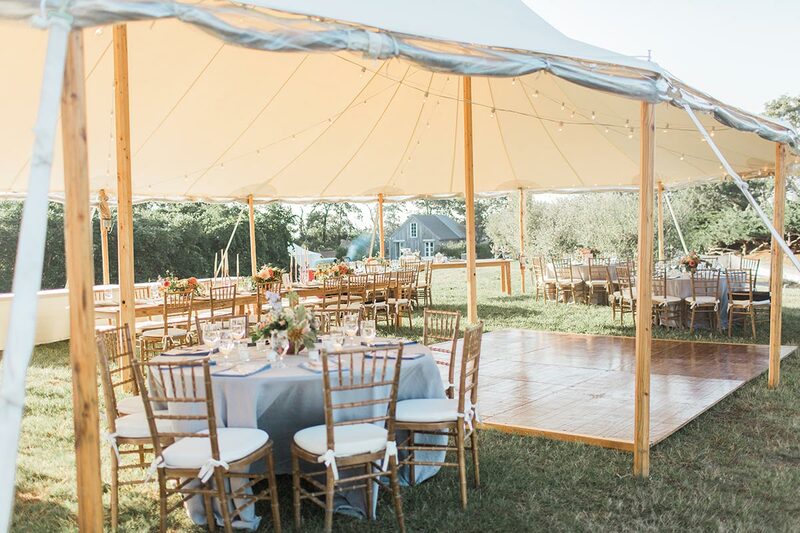 Sperry Tents are sought after for their quiet luxury, classic detailing, and natural elegance — they are the ultimate outdoor venue. We welcome the opportunity to make your next occasion a truly memorable one. Your tent is your venue, so choose wisely! If detailing and aesthetics are important, you’ve come to the right place. Our canopies are handcrafted out of genuine sailcloth (not vinyl!) that breathes during the day and glows at night. Handcrafted Sperry Tents are only available from our national and international network of licensed locations. and passions of a father and his two sons. "We used Sperry Tents for our wedding on my family property this past June. The superior quality of their tents, including the beautiful natural log poles, as well as their outstanding service, is what sets them apart. We had four tents on the property for our event, and the onsite tent manager took care of everything beautifully. Love the beautiful pennant flags at the top of the poles! Sperry was a pleasure to work with, from start to finish. Highly recommend!" "I spent a lot of time researching tents for my fall wedding. I had so many concerns and needed to make sure I went with the best. Look no further. The planning process was great. The tent itself was gorgeous—I received many compliments. CJ was there the day-of to oversee everything from power to heat...everything went perfectly. I would absolutely use them again. Really made for a painless experience!" "We had a beautiful speedy tent for our Nov. 5th Bonita Springs, FL, wedding! Sperry did the best job; I couldn't have been happier. Highly recommended: 5 stars! Thank you Sperry Team!" "I cannot tell you how beyond AMAZING your team was for Cancer Ball! Thank you to Tim and his wonderful crew for making this year’s Cancer Ball such a beautiful event! Whenever we needed help, the Sperry boys came running, whether it was to hang lights or help us lift heavy bars and tables!! The gorgeous tents even withstood tropical storm Andrea!! Thank you again for everything!!" "A quick note to thank you and all at PapaKåta for making our special day just so amazing. The Sperry Tent went down with everyone at the wedding so well. It was just brilliant; we absolutely loved it. We had the most amazing day and are still absolutely beaming and buzzing with joy." "Hands down one of the best decisions I made for my wedding. The tent was stunning! Working with Tammy from Sperry was a pleasure! She was thorough, always responsive, and incredibly accommodating to my needs. She came out to visit the site several times (I found most vendors didn't want to do that until day of) and always offered great ideas. If your event calls for a tent, go with Sperry!" "We just received the pictures and are still in awe of how fantastic the tent looked! Our guests were truly enamored. And to top it all off, you were beyond superb to work with. So professional, beyond trustworthy…we were simply in great hands, which made the day go by without a hitch. We will continue to sing praises of Sperry and recommend you to everyone we know. You’re the greatest! The biggest thank you again!!" When planning an outdoor wedding or event, there are important details and contingencies to navigate. But in return for your efforts, you will gain a truly customized occasion that reflects your personality and/or brand. So leave that inflexible indoor venue behind and head outdoors with us! If you’re still in the early planning stages, then enjoy our photo galleries and blog for inspiration. Welcome to our outdoor event paradise on Instagram. Use #sperrylove to be featured.